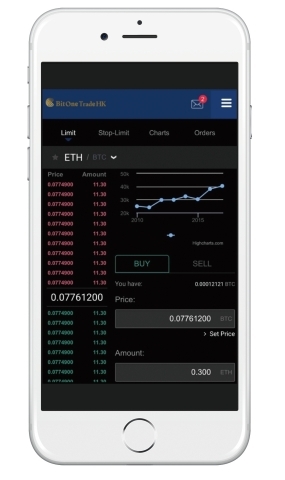 TOKYO--(BUSINESS WIRE)--BitOne Trade HK, which is a cryptocurrency trading platform operated via Bit One Hong Kong Limited, an affiliated company of Bit One Group Co.,Ltd., a Japanese listed company (TOKYO: 2338), (Director：Kimura Junichi, Location：Flat A, 25/F, Block 3, Golden Dragon Industrial Centre, 182-190 Tai Lin Pai Road, Kwai Fon Kowloon, Hong Kong), will be officially rolling out the cryptocurrency trading platform beginning in September 2018. A cryptocurrency trading platform of “Made in Japan” is operated via an affiliated company of a listed company in Japan. With 30 cryptocurrencies on offer and more than 100 coins will be listed in future. Plans to issue own Token by the end of this year. Our platform is launched in Hong Kong which is Asia’s international financial center and we provide customers with stable and secure services. Mainly for the Asian market, our goal is to achieve a monthly transaction volume of US$ 5 billion. We offer highly competitive low commission trading and more opening campaign! Start Trading Today! For more information, please visit our website. 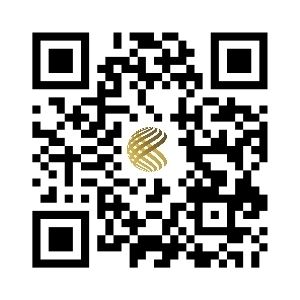 Bit One Hong Kong Limited is an affiliated company of Bit One Group Co.,Ltd., which is listed on Tokyo Stock Exchange (Tokyo Stock Exchange Code 2338) (CEO: Hideyuki Takahashi, Location: 4-32-4 Yotsuya, Shinjuku-ku, Tokyo Postal Code: 160-0004).